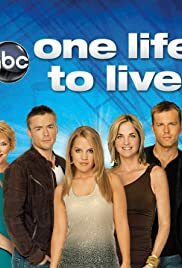 One Life to Live centres takes place in the fictional town of Llanview, PA.around the wealthy Lord family, and the middle-class Woleks and Rileys. Guiding Light takes place in the fictional Midwestern town of Springfield and centers on the middle class Bauer family. The focus in on the upper class Hughes and Stewart families plus their tribulations in Midwest Oakdale. The Stewarts fade away eventually to be replaced by the rural Snyders and wealthy Lucinda Walsh with her many intrigues. Victoria "Viki/Blondie" Lord Riley Lord Buchanan Buchanan Carpenter Davidson #3: Oh, Clint, I forgot to tell you... Jessie's pregnant. Clint Buchanan #2: Who's the father? Victoria "Viki/Blondie" Lord Riley Lord Buchanan Buchanan Carpenter Davidson #3: We don't know. We don't even know who the mother is. You can love it or hate it but Erika Slezak is one of America's finest acting treasures! Erika Slezak has won 6 Emmy awards for playing the same role. She beat Susan Lucci most of the those times. I don't think people understand her acting ability which I consider to be on par with the finest actors and actresses today like Dame Judi Dench, Vanessa Redgrave, and Julie Harris. She has played a multiple personality disorder as well as played Victoria Lord for 35 years with class, elegance, and style that most people would envy. While lots of actors and actresses have come and gone, Erika stayed on playing a role that did not define her personal life. As All My Children is about another Erica, One Life to Live has provided a place for Erika Slezak who is also the heart and soul of the show itself to grow. It's an amazing show because it really does the unthinkable, unimaginable, and the absurd too. I can't forget the others on the show like Robin Strasser who plays Dorian Lord, Philip Carey who plays cowboy Asa Buchanan, Robert S. Woods who plays his son Bo. Can you imagine having cowboys in Llanview, Pennsylvania? but it work's with great actors and actresses. The absurd story lines are both entertaining and silly but even worth watching. If you like serious drama, this show is not for you. If you like fun entertainment, this is the show for you. 22 of 31 people found this review helpful. Was this review helpful to you?